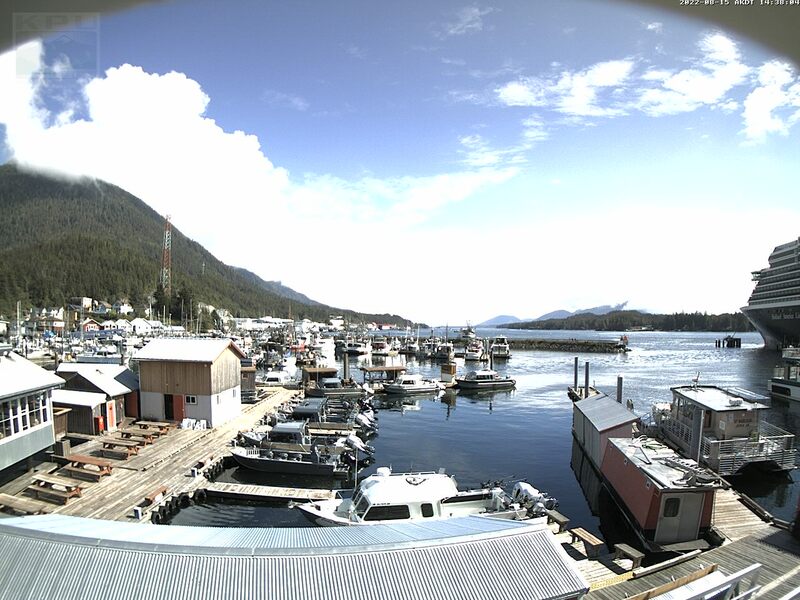 Baranof's salmon and halibut fishing fleet. Baranof 30-foot Cabin Cruisers are Alaska Fishing in comfort. With their length and beam, their ride in inclement weather is very comfortable. These boats are heated with a private marine head, and provisioned for both piping-hot coffee and cooking fresh fish tacos. Fish Alaska in style! 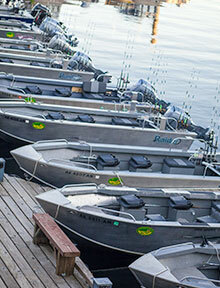 Most of the long-distance Saltwater Fishing at Baranof is done with our 24-foot Cabin Cruisers. While perfectly suited for efficient long distant fishing, they are not large enough to incorporate all the nuances of personal comfort. Our 30-foot Cabin Cruisers are a good choice for a family that is prepared to pay a premium for a day of fishing in added comfort. 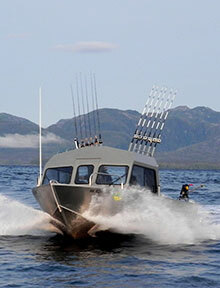 Raider Boats out of Coleville, Washington build us our 30-foot Cabin Cruisers and design them from the keel up to make Alaska saltwater fishing as comfortable as possible. Their 30-foot long length and almost 10-foot width beam is powered by two Honda 225hp motors plus a Honda 9.9 kicker. ​Designed by our lead guide, Chris Baldwin, these boats have enough length and beam to consistently fish the outside waters. With this seaworthiness and range, we can run long-range charters out to the ocean entrances, spending the day fishing in some of the most productive fishing areas in Southeast Alaska. Our 30-foot Cabin Cruiser is also perfect for long-range trips, such as taking private sightseeing tours into Misty Fjords, whale watching off the shoreline of Duke Island, or even providing transport to many of the remote cabins around Ketchikan. Our 24-Foot Cabin Cruisers provide a basic toilet with a privacy curtain. The 30-foot Cabin Cruisers provide our guests with a private stand up head. 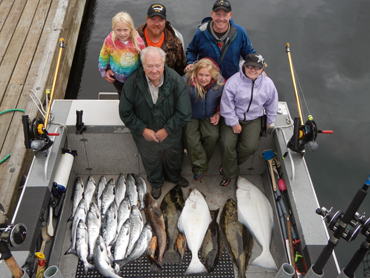 All of Baranof Sportfishing guests are completely outfitted with quality raingear from head to toe allowing for comfortable fishing even in inclement weather. Our 30 footers take it up a notch by provided a heated cabin for traveling to and from the fishing grounds. The mini galley, equipped with a Kureg coffee station allows for fresh hot coffee, tea, or hot chocolate just when its most needed. 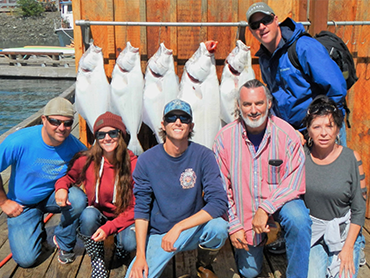 All of Baranof Sportfishing guests are completely outfitted with quality raingear from head to toe, allowing for comfortable fishing even in inclement weather. Our 30 footers take it up a notch by providing a heated cabin for traveling to and from the fishing grounds. And while our 24-Foot Cabin Cruisers provide a basic toilet with a privacy curtain, the 30-foot Cabin Cruisers provide our guests with a private stand-up head. Additionally, the mini galley, equipped with a Kureg coffee station allows for fresh, hot coffee, tea, or hot chocolate just when it’s most needed. Finally, while a quality boxed snack is provided to all of our Alaska Fishing guests, our 30-foot Cabin Cruisers are also outfitted to create fresh fish tacos, utilizing one of the most popular recipes from The Alaska Fish House. For Baranof clients, willing to spend the money for an upscale Private Fishing Charter our 30-Foot Cabin Cruiser is worth considering. Our 24-foot Cabin Cruisers are about saltwater fishing. Evolved over decades, they are safe and reliable. These boats can easily cruise at 30 knots to the fishing grounds, anchor or drift for halibut or troll at 2 knots for King Salmon, and pull up on a beach to enjoy a campfire on a wilderness shoreline. 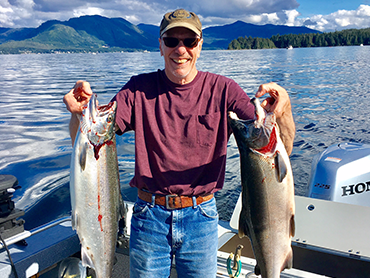 Whether it's perfecting the nuances of cooking on a remote beach, or learning the art of rigging the perfect herring for king salmon, we love to fish in Southeast Alaska, and we love to share our passion for cooking seafood. 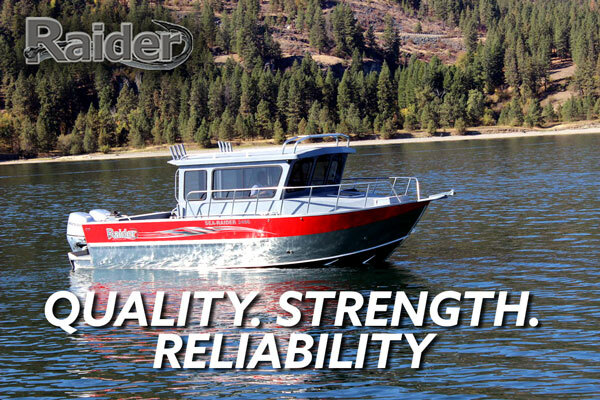 Nowhere in the company is there a better example of our desire to make the most of our time in the wilderness than with our 24-foot fishing boats built by Coleville, Washington’s Raider Boats. Pairing aluminum hulls and Hondas 225hp motors makes these boats incredibly tough and fuel efficient, which allows us to safely and comfortably run at 30 knots to the stellar fishing spots south of Ketchikan, while also keeping our overall cost low. As a result, we consider our​ prices ​to be ​quite reasonable. All Baranof Cabin Cruisers have two anchor setups available to the captain. One is known as a beach anchor, which allows the captain to get off the boat at a beach and then anchor the boat out and away from the shore. This protects the boat from the large tidal swings that occur in the area, and keeps it off the rocks. Additionally, having the option of an anchor gives us the ability to explore our hundreds of miles of shoreline in the area, and allows us to visit the many Forest Service cabins. The second anchor is a 15 pound claw anchor with over 600 feet of line and chain, and is best used to anchor the boat in halibut spots over 300 feet deep. The 24-foot Cabin Cruiser is a fishing boat pure and simple. Designed by Southeast Alaskan fishermen, it’s perfect to pursue salmon and halibut, and occasionally get off on the beach to Cook ​Y​our Catch. Our skiffs are representative of the skiffs from which most Alaskan youths learned their maritime, fishing, and hunting skills while growing up. 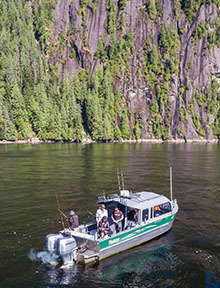 Safe, efficient, tough, and capable, these skiffs are not only good for fishing, but for exploring the innumerable, secluded beaches of Southeast Alaska. Our Skiffs are mainly utilized when chartered or as an important part of our Alaska Fishing And Wilderness Dining experience when the absence of a cabin on rainy days is solved by the heat of the campfires. The vast majority of the 50,000 residents of Southeast Alaska who enjoy the inlets and coves of this part of Alaska started their life of maritime adventures in a skiff. We can safely say our 20-foot Raiders are the Cadillacs of skiffs. (As a matter of culture, if you hear a Ketchikan local using the term skiff they are usually referring to a 16-foot open Lund with a 25hp or 30hp motor. When we refer to a skiff, we are talking about our 20-foot open raiders, which sport a 90hp Honda). While most skiffs are not necessarily known for their speed, these boats effortlessly cruise at over 25 knots, and can accommodate up to 5 passengers and the captain. On beautiful days, these skiffs can bring back memories of riding around the coast of California on a motorcycle. ​If​ you like the open-air experience of a Harley, then you're going to love our skiffs! When traveling on the days that weather turns nasty, just put your hood up on the rain jacket we provide and turn your seat to face the captain. We consistently receive compliments on the quality and cleanliness of our raingear, a necessity when fishing on the back deck in one of the rainiest cit​ies​ in North America. Our rain gear will shelter you from the wind and the rain as it all hits you in the back. (Also keep your eye out in times like these, as there's a chance of watching your captain take a saltwater blast to the face as they face right into the weather . . . Good fun!) If you take advantage of the 100% waterproof bibs, boots, gloves and jackets we offer you (highly recommended), you'll remain nice and cozy on days like this, and it will make the hot chocolate and coffee around the campfire taste a whole lot better! When the wind kicks up waves, the high sides and the semi-enclosed bow make these skiffs very seaworthy. In the words of AJ Slagle​, one of our most experienced guides and a personal expert on inclement Alaska weather conditions​​: "I'd take these skiffs out in any weather; I've had an 18-foot Lund in 14-foot seas and these raider Skiffs are twice the boat that Lund was." (It's a good thing we fish the inside waters, rather than exploring Southeast Alaska with AJ as a teenager! These boats rarely get tested in waves over 3-feet). Halibut fishing requires stout rods that are tough enough to manage big weights and big fish. We think there is no better value when it comes to rods than Ugly Stick’s sturdy stick. These rods are solid fiberglass which makes them very hard to break yet sensitive enough to make fighting a halibut enjoyable. We’ve had a few issues with the reel seat breaking loose and spinning the reel around the rod, but these rods are priced competitively ensuring replacements that are always on hand. When Salmon fishing we use a variety of rods depending on the preference of the captain. Some of our captains like to troll, some like to mooch, some like to jig, and some like to do all three. 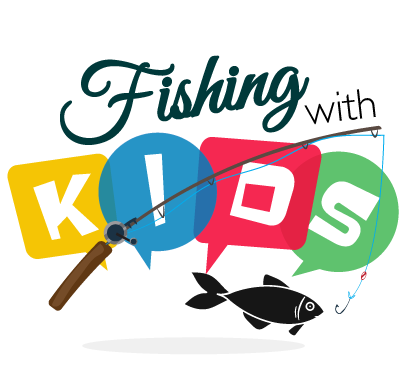 Each of these techniques require different characteristics in a fishing rod. Shakespeare ugly sticks are the main go to for salmon, while they are not absolutely perfect at any one thing they tend to do be a versatile rod capable of performing well in all circumstances. These incredibly tough rods are hard to break and they last. Berkley Buzz Ramsey Air Trolling Rods are great all round rods as well. They provide great sensitivity while mooching, and provide the right amount of action to set the hook on that king that popped the line off the down rigger when trolling. They are a little soft for jigging the heavier weights. Any heavier than 3oz or deeper than 100’ deep and they don’t set the hook as well. These rods are a bit fragile for using everyday on a charter operation and we have more of their fair share of broken rods and eyelets. We have used the Penn 320’s for years and have had great luck with them. Penn Has stopped making and we have started phasing them out, replacing them with Penn’s Squall 20’s and 30’s. So far these reels have been holding up well, and I have seen them handle halibut over 200 lbs. We have been experimenting with Shimano Charter special reels for salmon fishing, and so far the guides and clients love them. 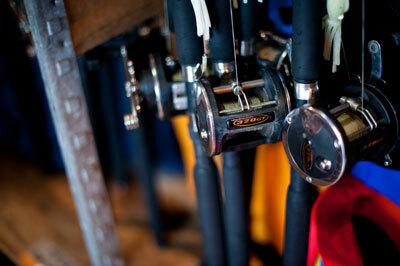 The reels have a lever drag making them ideal for trolling, and simplifies drag adjustments while fighting a trophy. It is good to pack the bearings with grease to start the season as it slows the spool down keeping backlash to a minimum with customers learning to mooch for the first time. Ketchikan is known as the rainiest city in North America, and we get 155”-200” annually. Good rain gear a must when fishing in this area. I tell all my clients that if it’s not Gore-tex or if it’s not rubber (PVC), it isn’t waterproof. This was a tough lesson for me to learn, as I went through 2-3 “waterproof” jackets over the years that couldn’t cut it in this weather. 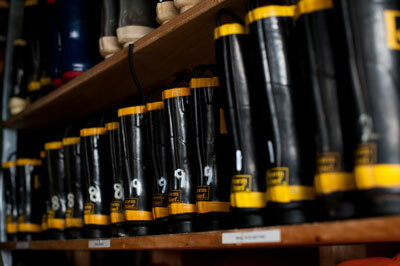 Instead of having to gear up for this weather on your own, we provide Helly Hanson PVC bibs and jackets along with rubber boots, rubber gloves, and hats for all of our guests. This will ensure that even after fishing all day you still stay completely dry. I also recommend the bibs on nice days as fish can be bloody messes and they’ll keep you clean underneath. 2017 regulations have yet to be completely published. 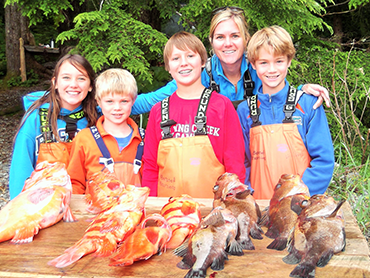 This section outlines the Alaska Department of Fish and Games Sport Fishing regulations. Some of the highlights are halibut will remain at 1 per day. Pelagic and Non-pelagic have been cut from 2 to 1. The goal is to catch fish and have a extraordinary day. Perfect for serious adventurers or families looking for an intimate wilderness journey.